I've now got 12 packs through my UDR and still enjoying every minute. I figured ill start my own thread with various pictures and video. 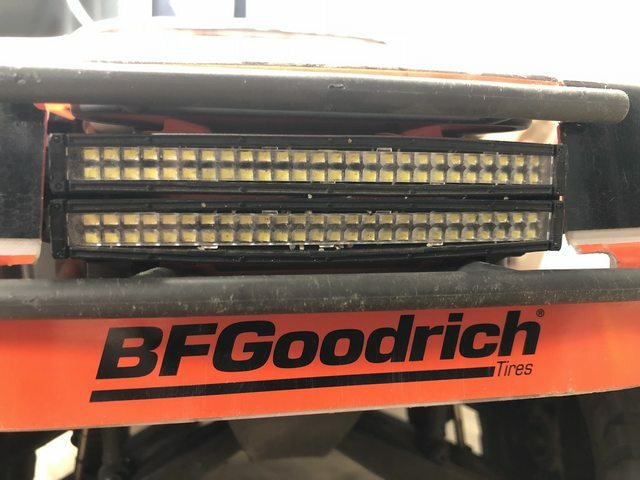 I unfortunately damaged one of the front light bars last week after a nose dive. I think part of the problem is sand makes its way around the clear lens and eventually makes its way behind it. During said nose dive, one of the LED's got crushed and is now intermittent; however these are wired it took 3 others out with it. Traxxas was gracious enough to send me a replacement. This is a picture from two weeks ago that shows grains starting to make its way around the lens.. 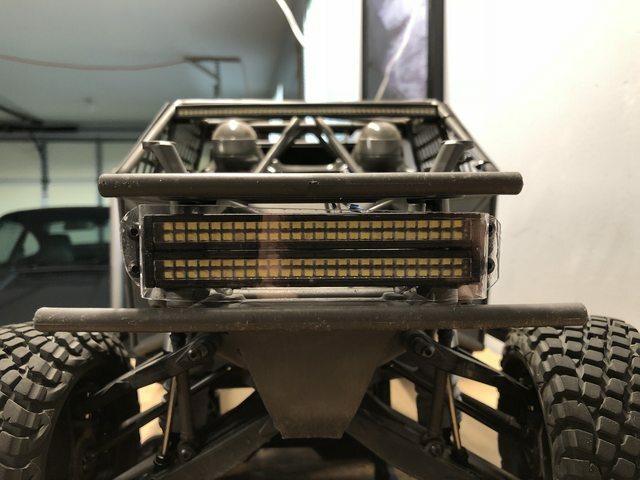 I used a piece of scrap lexan from another body to make a cover for the lights; i think this will stop any further issues with sand ingress. good idea. I like that! 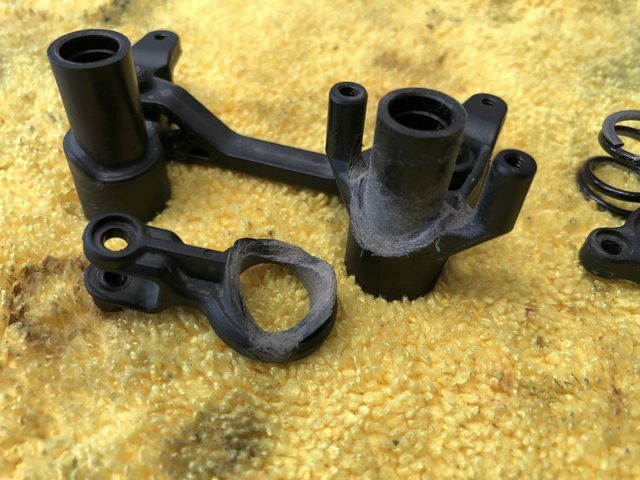 I had about 12 packs through the upper links and trailing arms from MFR. 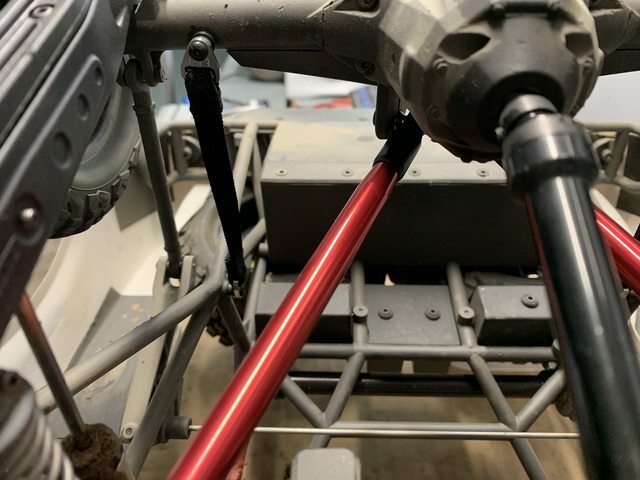 After removing the shocks, the rear end is still pretty tight when loading the suspension unevenly. This is because the MFR parts use Losi 8th scale buggy rod ends with the stock UDR hollow balls. 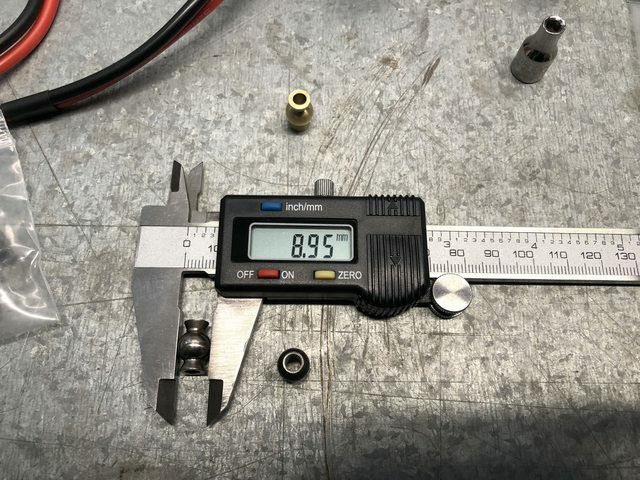 The Losi rod ends are for a 8.8mm ball while i measured the UDR hollow balls at just under 9mm. 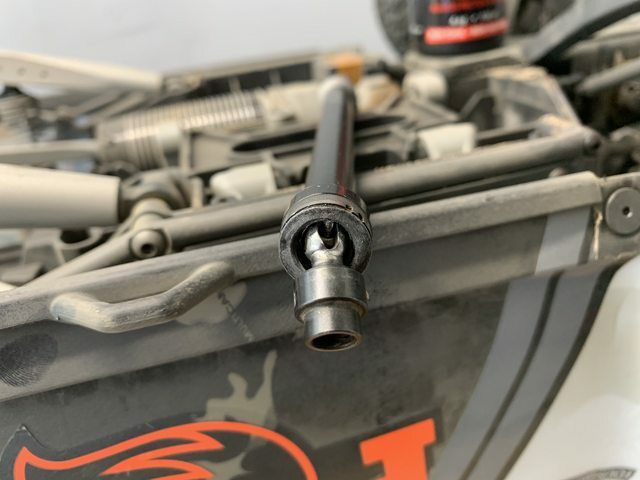 The Losi hollow balls for these ends are not a direct fit onto the UDR, but only take a few minutes to make work. 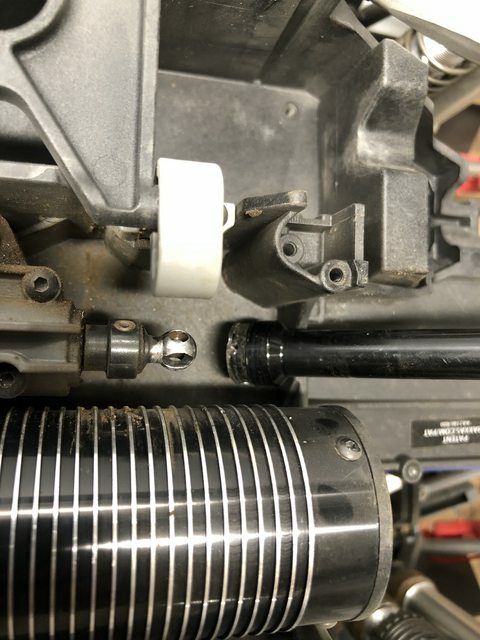 The Losi balls are meant for a 3mm bolt where the Traxxas uses 4mm. 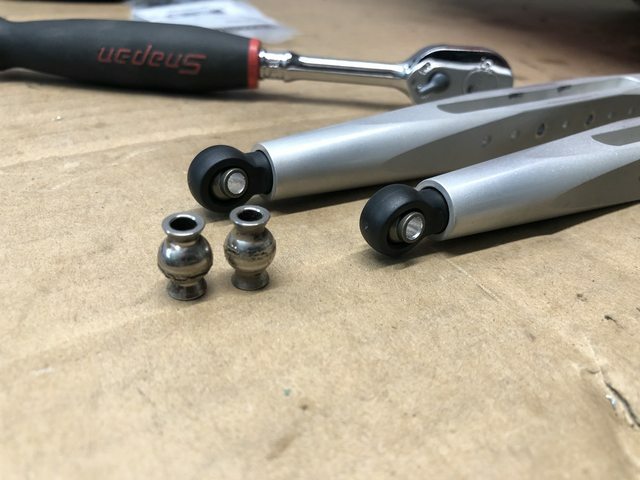 The hollow balls are aluminum, so they are very easy to drill out. Do this in steps so its easier to drill straight, i finished up with a 5/32" bit. If you want to do the same, you will need two packs of LOSA6049. They are about $8/ea online. 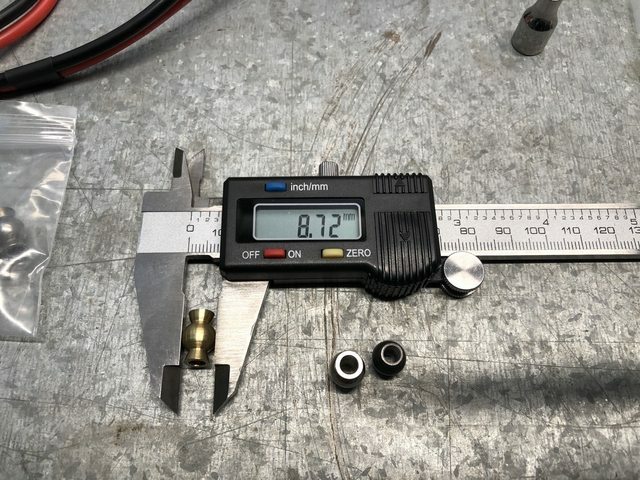 The Losi balls are also about 3.45mm shorter than the stock UDR. Four, 4mm washers made up this difference in height perfectly. These washers were readily available at Home Depot. 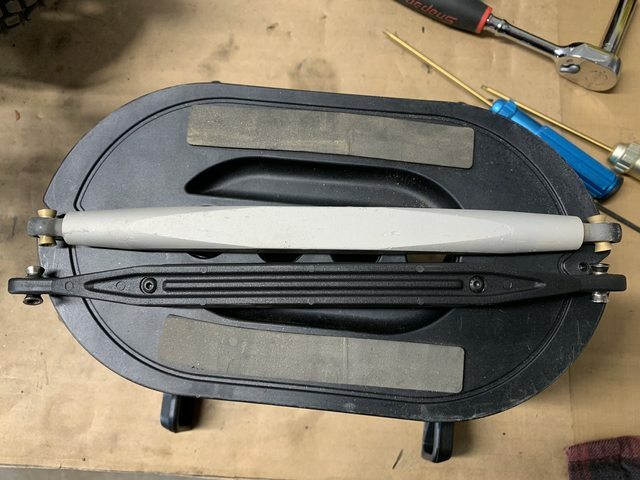 The rod ends now move without any binding. I only completed the uppers, waiting for one more pack of the Losi balls to be delivered . Last edited by Techno Duck; 08-19-2018 at 03:57 PM. 16 packs through it as of last night, bodies holding up well. I really only run it on sand though. Despite taking great care rebuilding all the shocks and using green slime on the x-rings, both left rears are still leaking. I wonder if the shock shafts may be damaged. The other 6 are still dry though! 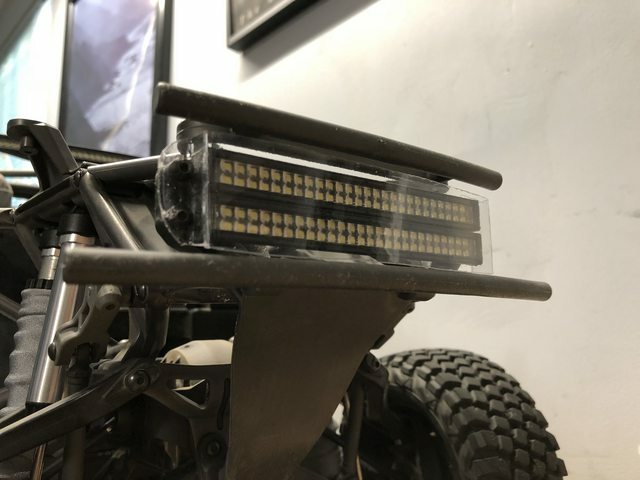 Silly question here......wouldn't it be easier to trim down the bumper sides.....to make body removal easier......been looking at my UDR body....trying to see it trimming down the ends of the bumpers would make it easier. Even easier, widen the bumper holes. Id say 1/4 of the time the UDR nose dives on landing, so i kind of want the full bumper. 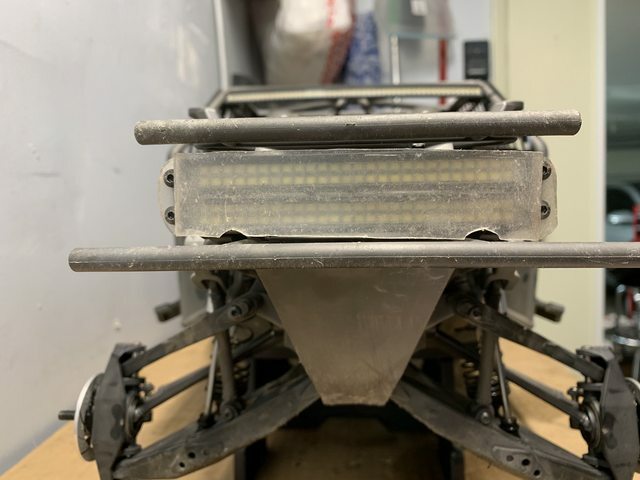 The body is a little more of a pain to remove with the front light bars; the lights sit a little proud of the body so you have to pull the body over the lights to slide it off (not as easy as it sounds). 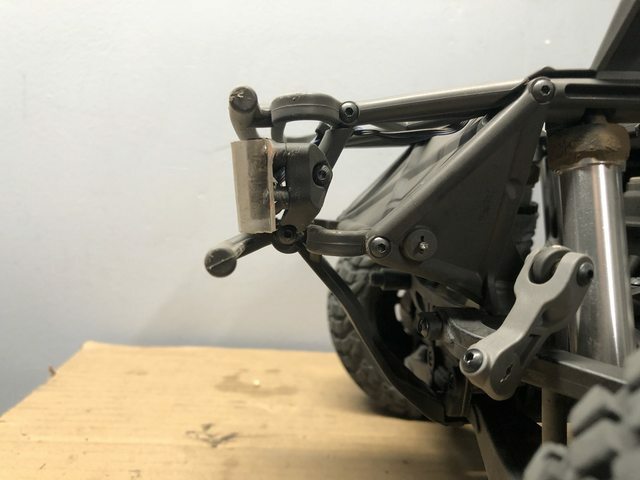 I finished up modding / installing the Losi hollow balls on the trailing arm links. The suspension feels really smooth now, looking forward to getting some more run time in. I also adjusted the spring perches and took about half the preload out that i was originally running front and rear. Everything just feels better now. Last edited by Techno Duck; 08-21-2018 at 11:59 PM. Ran another two packs earlier, the handling is greatly improved and its jumping fantastic now. Unsure if this was from reducing the preload front and rear or the rear suspension moving freely without any binding. I did probably 15 jumps in a row and it flew nice and level each time. Did a few laps on the track and was surprised how well it was handling. The only issue so to speak is that the rear is bouncing around quite a bit on the whoops at speed. Fairly certain its bottoming out in the rear; i can hear the tires rubbing the body and have a lot more marks on the tape i put on. Maybe I'm just going too fast through that section . I am running 40wt front and 70wt rear. Ill try adding a little bit more preload on the rear shocks first. Then maybe an 80wt oil in the rear. 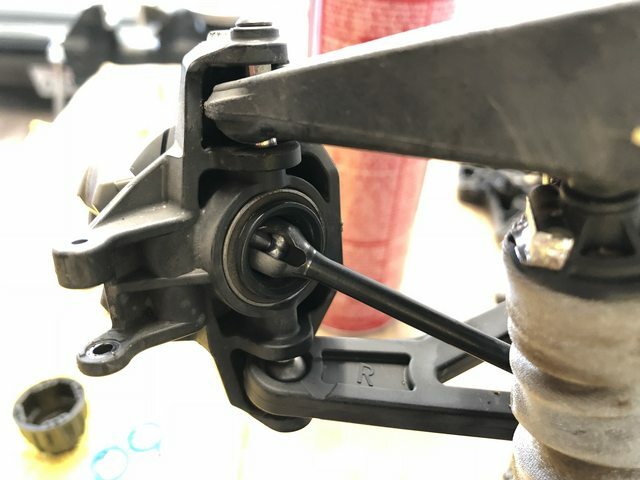 Has anyone experimented yet with the stiffer rear springs? 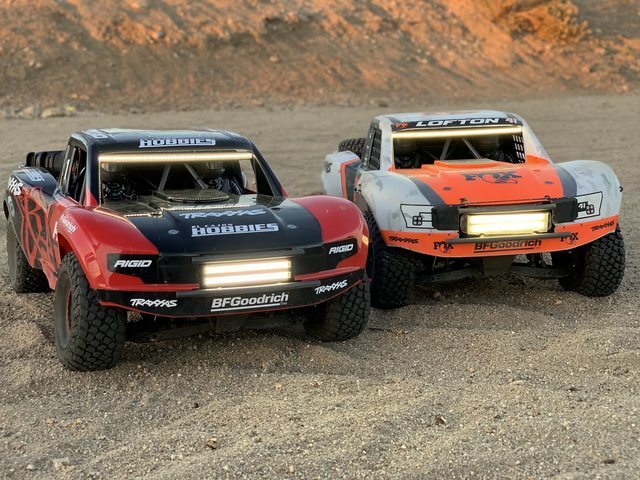 Traxxas has two options, if I'm doing the math right they are roughly 10% and 17% stiffer than stock. I have the exact same issue. Both my left rears are leaking as well. All others dry. I bought another shock rebuild kit so i can replace the x-rings. 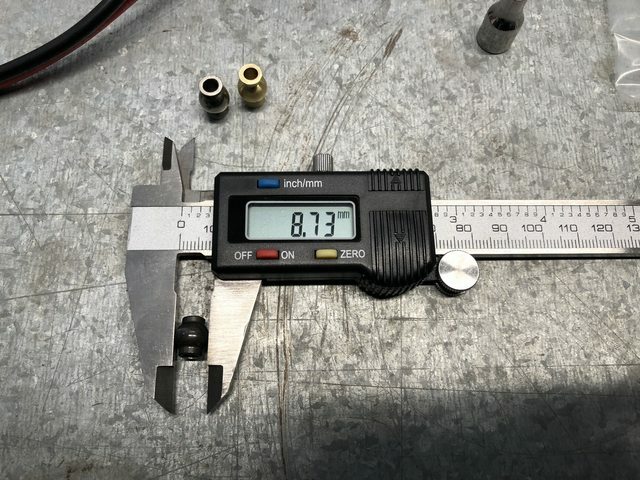 I'm going to take some measurements of the seals so i can try and find a equivalent from a place like McMaster or other O-Ring supplier. 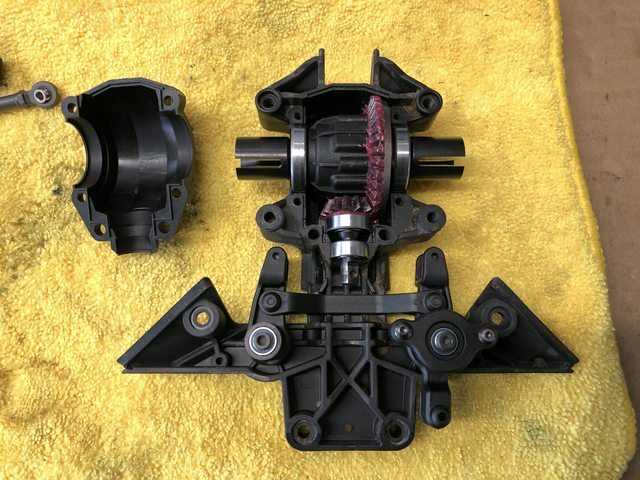 The only part i really need out of the rebuild kit is the x-ring, so its like paying $3 to rebuild 1 shock. I think an equivalent could be had for less than 50 cents ea. Last edited by Techno Duck; 08-25-2018 at 01:59 PM. Ive been running it at Santee Sportplex most of the time, the UDR is perfectly suited over there. I’ve been meaning to check out some other spots but they are more geared towards big jumps. 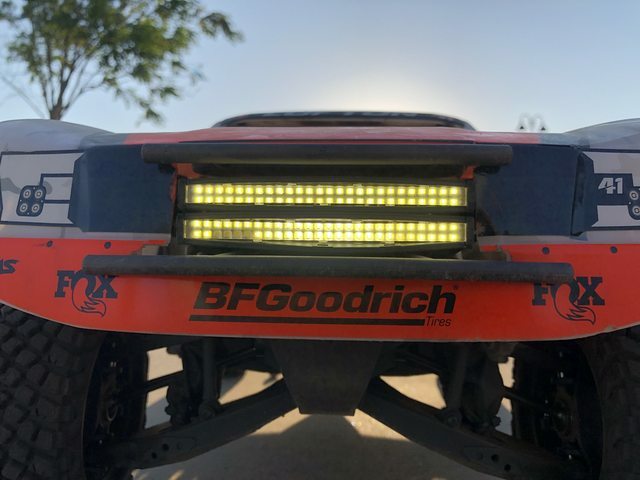 One of these days I’ll bring it further east to Ocotillo Wells. It’s a shame the big off-road track in Chula Vista closed a few years ago. Nothing has really filled that void since. 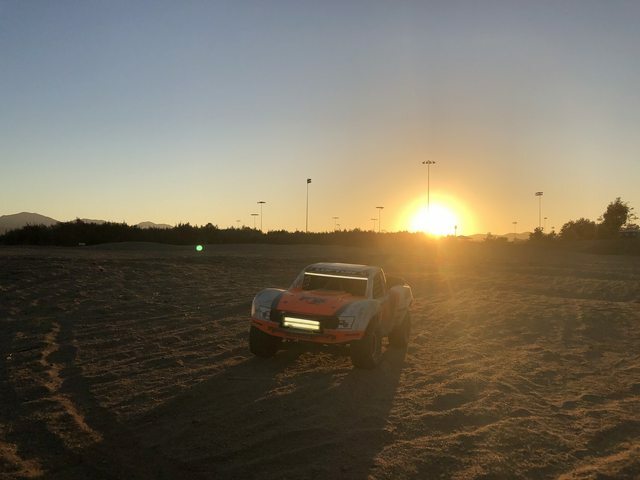 There’s a huge off-road track under construction out in Imperial that is looking awesome, but don’t think I could bring myself to drive 4 hours round trip! Broke the driveshaft halfway through my 20th pack (all on 4S). 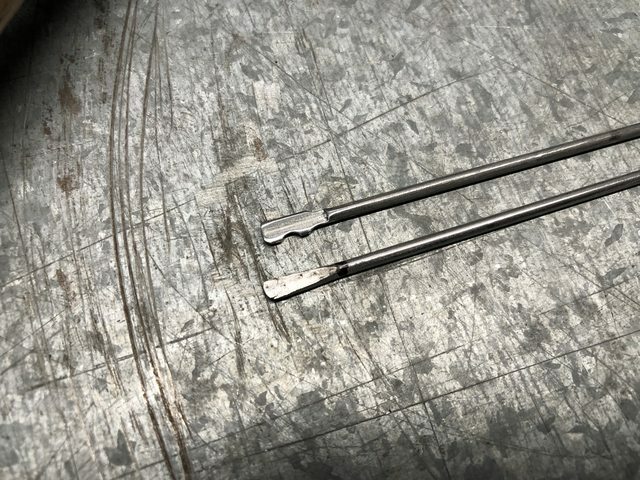 Came off a little hop at full speed when the front joint came apart. 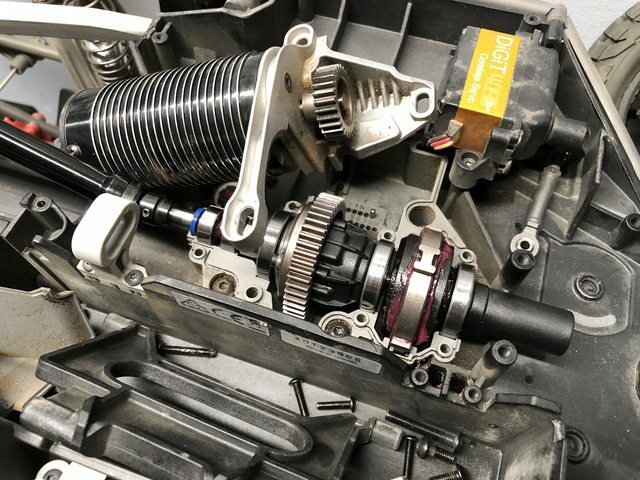 I noticed i was getting progressively more driveshaft wobble around the 15th pack and over the last few packs it sounded like a buzz saw when the suspension was at full travel. I admit ive only recently started releasing the throttle on landing. 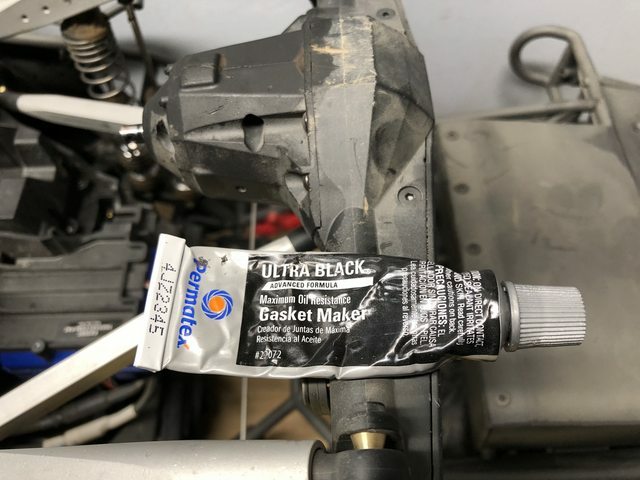 Ive been lubricating the joint with dry bike chain lube also. 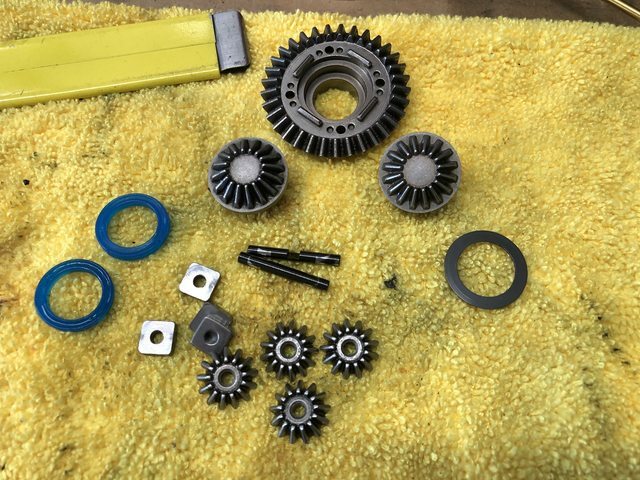 I wonder if its worth trying to rebuild the driveshaft every 10-12 packs before they get bad... $4 for the rebuild kit vs $22 for a driveshaft. I took the front end apart also to inspect the steering linkage, everything is looking good still. But the drive cups are getting pretty worn. I am going to rebuild both diffs because they are starting to leak. Debating replacing the drive cups also, i was bummed to see they are $12 ea. .
Last edited by Techno Duck; 08-27-2018 at 12:10 AM. 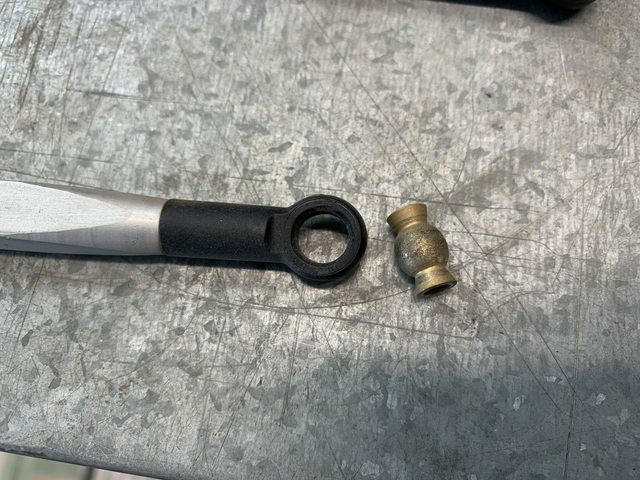 Post up if you find an alternative o-ring I'd be interested in trying it. Last edited by Kfrye; 08-27-2018 at 12:09 PM. Anyone running XT90 batteries with an adapter? 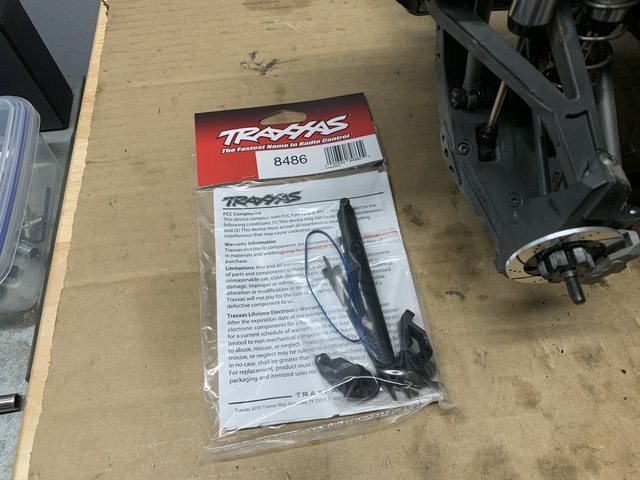 I have two 4S Traxxas ID connector packs and two XT90 packs. 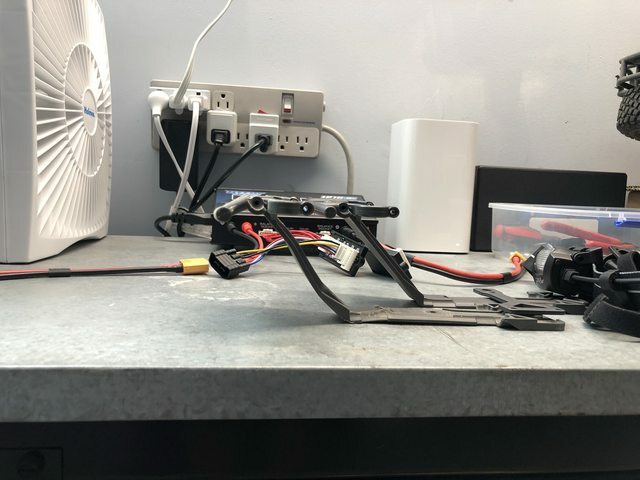 So i dont want to change the plugs on the ESC over. Space is limited with the battery cover also so. I only run 4S, so i was kinda thinking of swapping only one plug over to XT90. Finally got the diff seal kits in the mail. The front diff was quite low, one of the diff cups was collecting alot of dirt so it was probably leaking there. The entire process only took about 15 minutes. I refilled with 30k wt oil, same as stock. I have a jar of Mobil 1 grease handy from packing wheel bearings, so that's what i use. 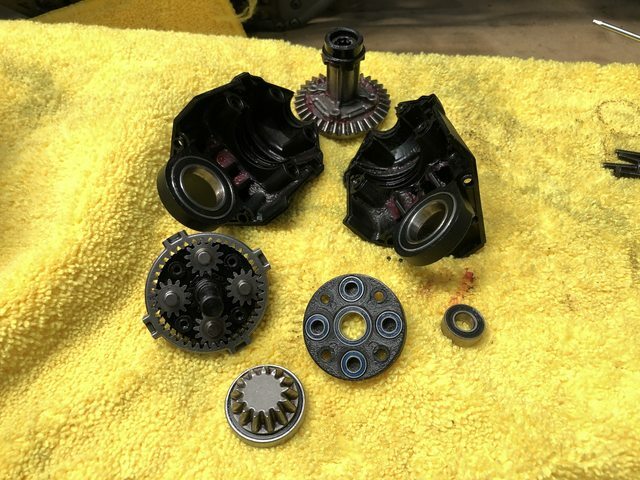 The center diff was good, but its obviously it gets pretty hot. The fluid was really dark and the blue silicone seal was fairly stiff. I also did the stock refill with 1M weight, some seriously thick stuff! Also re-greased the planetary while it was out. Will put it back together tomorrow and try and run a few packs through it. Last edited by Techno Duck; 08-30-2018 at 12:11 AM. 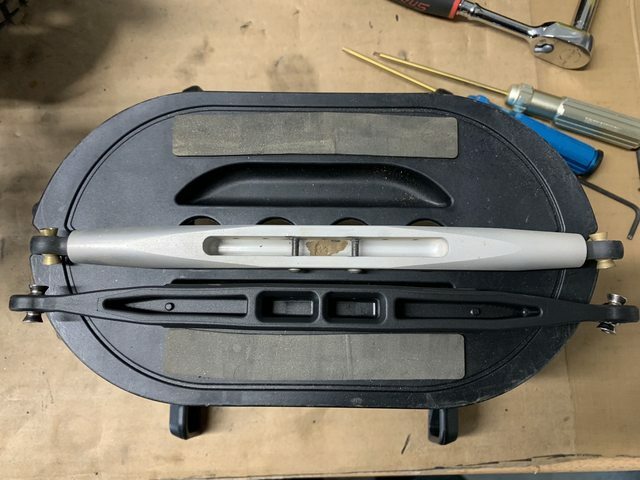 Im using a single battery/single XT90, no dremel work. Last edited by xOperator; 08-30-2018 at 09:27 AM. 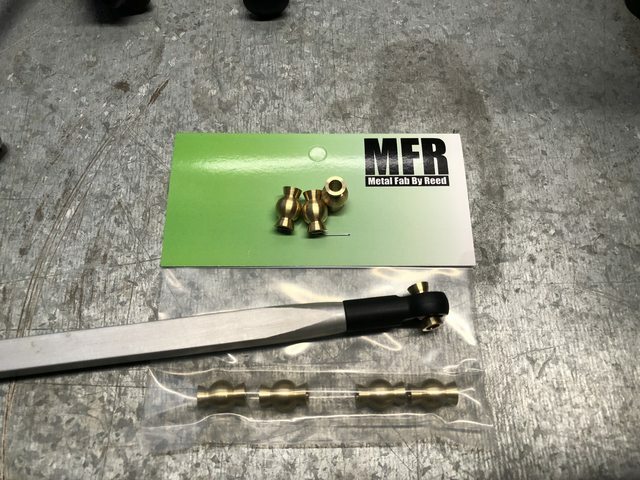 MFR recently released hollow balls sized for using the Losi rod ends that are a direct fit on the UDR. 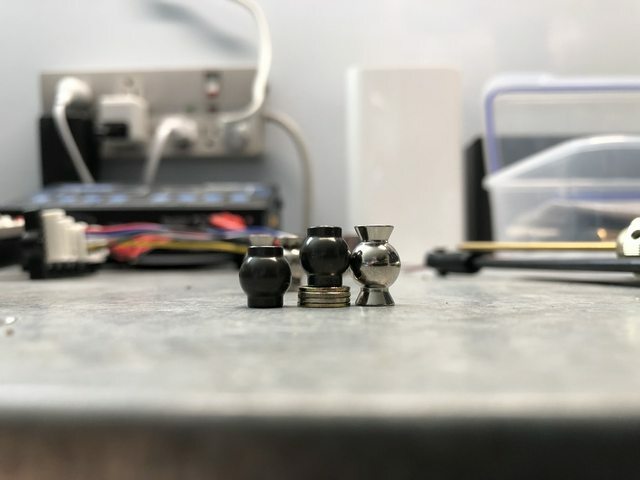 Opted to replace my customized Losi hollow balls as it eliminates the need to use a bunch of washers as spacers; they were a pain to put in on the upper links. 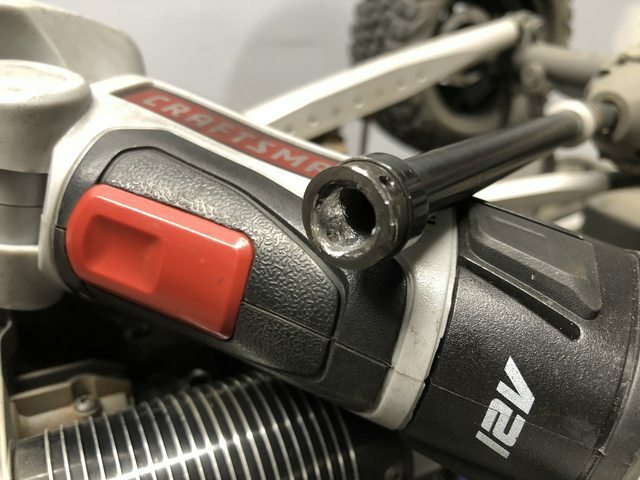 Removing and installing the hollow balls is easy with a vice and a few sockets. Now at 26 packs. No regrets at all buying this truck, one of my favorites. But it sure is needy! Broke the front sway bar again, same spot and same side. The first one broke at 14 packs, so i am guessing every 12-14 they will need replacement. 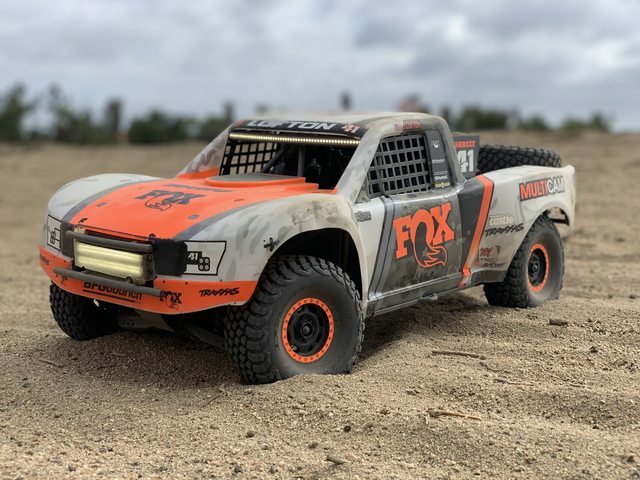 Ive run the truck at the same spot, lots of uneven terrain at full throttle, ripping around the track and running it into the bowls carved out in the dunes. So the sway bar definitely gets a work out. 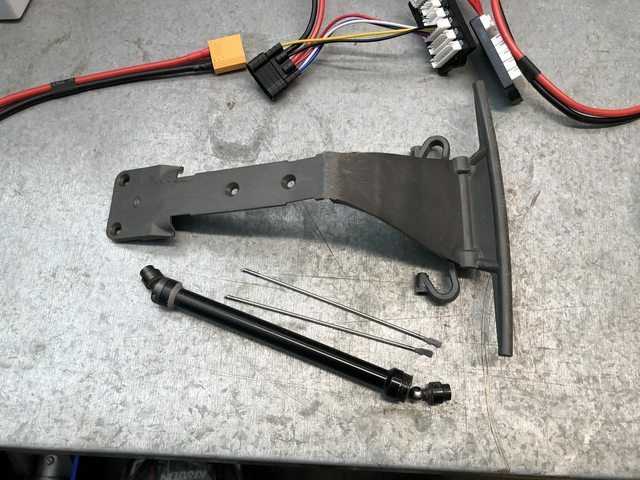 If Traxxas is listening, please offer the front sway bars in a two pack or something.. i think i am going to end up with a lot of extra rear sway bars over time with how they are sold now. If i cant find one at my local hobby shop tomorrow, i probably wont replace it until i may another order for stuff online. The only other broken part is the front skid plate / lower front bumper. 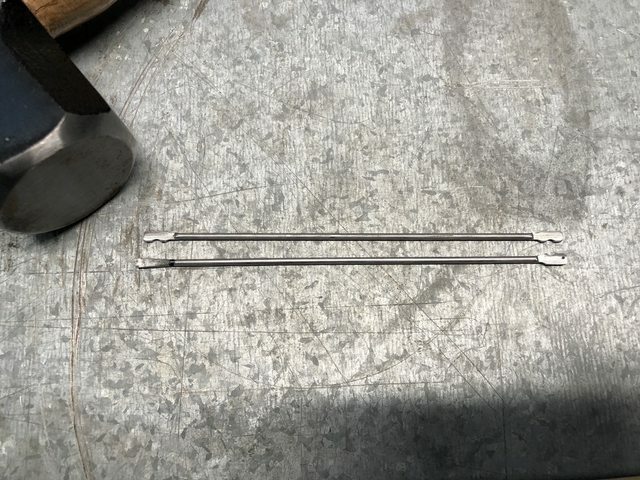 The bar is pushed down at about a 45 degree angle. You can also see the bow in the skid plate. I actually straightened this piece out a few weeks ago with a heat gun, but its pretty much toast now. Replacement will be here later in the week. Last edited by Techno Duck; 09-09-2018 at 11:48 PM. You can see where its bending. Maybe RPM will produce one of these in the future. The only broken parts so far, cant complain! Last edited by Techno Duck; 09-12-2018 at 05:55 PM. 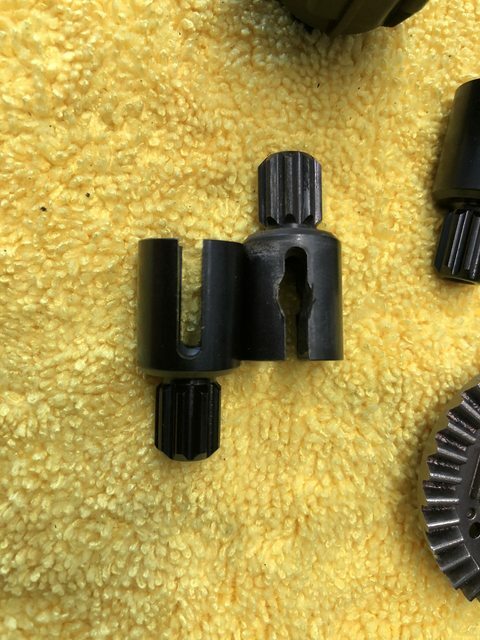 Was happy to see my local shops are stocking UDR parts. 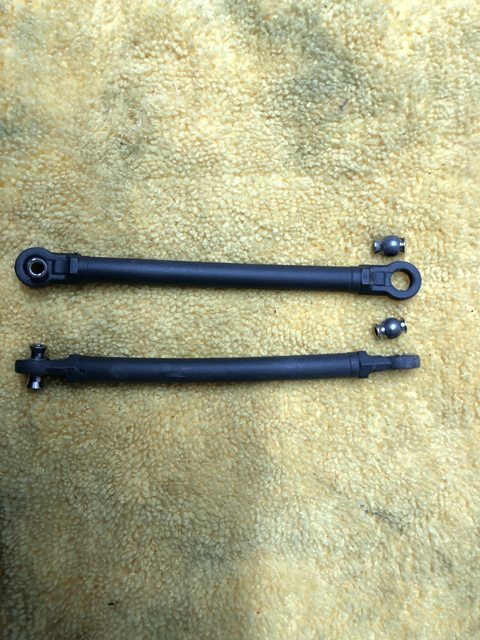 Was able to get replacement sway bars; a quick scan of the wall i also saw drive shafts and suspension arms. Good to see local part availability is catching up. After opening the bag, i realized i could cut down the rear bars to work on the front. I used a Dremel with a cutoff wheel to cut a rear bar to length, then flattened the end using a 3lb sledge hammer. Only took about 5 minutes and fit without any issues. 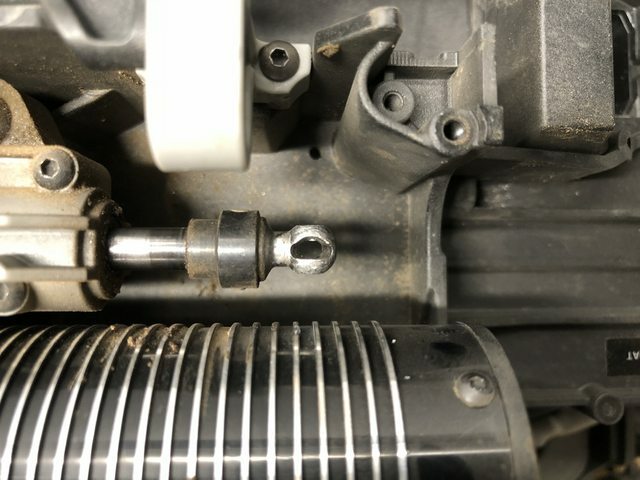 I didnt need to notch the flat section for the screw because its not quite as wide as a standard sway bar end. My rear shocks leaked soon after rebuilding, but my fronts are starting to leak now also. I think i have about 12 packs on these rebuilds. Going to remove the shocks and refill them tomorrow...too lazy to rebuild them. Still need to measure the x-ring seal to see if i can find an alternative. 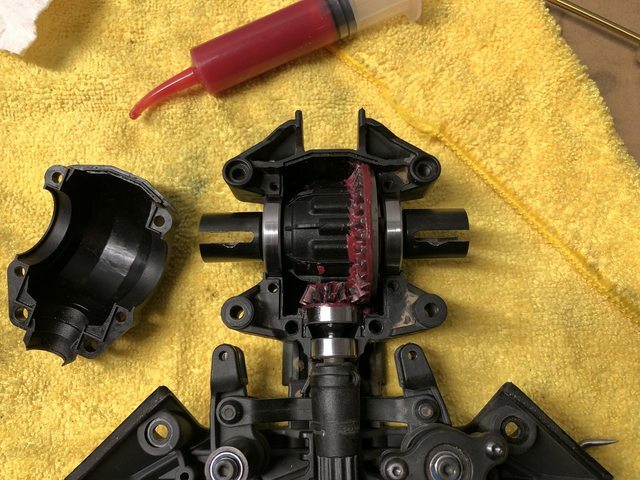 I'm surprised these shocks leak so much; i know Traxxas makes really good shocks but i just wonder if this is too be expected on this rig with how active the suspension is. Last edited by Techno Duck; 09-12-2018 at 08:42 PM. I found these at McMaster Carr. P/N 9262K548. $10 for 25. They measure out about spot on to the x-rings. As best as you can with calipers. Haven't orderd yet but am going to give them a try. Opened up the rear diff to see how things looked, i think i have about 16 packs since i last greased everything. No sand! 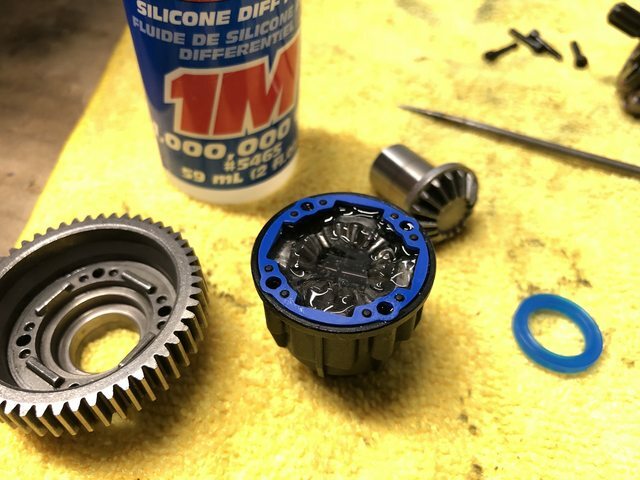 The last time i had the diff open, i sealed the left and right edges using a RTV silicone. Worked great. The planetary had little to no grease left in it. Everything still looked good, so ill have to remember to open it up and regrease more often. 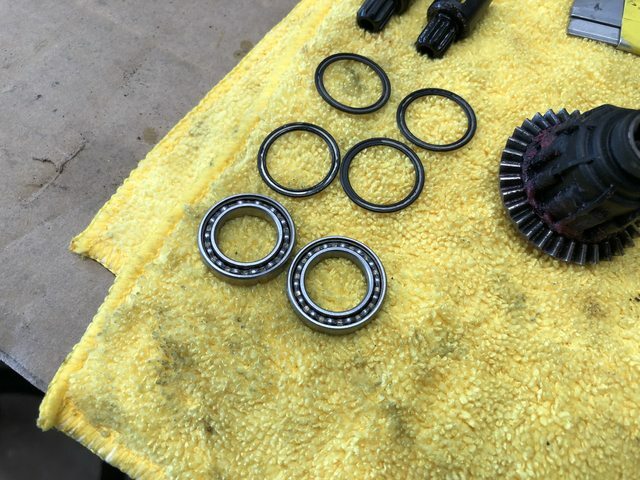 All the bearings still felt good, i was really surprised the smaller input shaft bearing is holding up. All the gears looked good also, i never bothered to shim anything. I do only run it on 4S though. This is what i used to seal the two edges of the case. Available at any autopart store. Inspected the drive shaft and after 4 packs its already showing signs of wear at the joint. I decided to try something new and pack the joint with grease, i am wondering if the dry chain lube i was using isn't up to the task here. Only the transmission side is showing this wear, same as my old driveshaft that failed. I flipped the driveshaft front to back, so ill see how it holds up now with grease. Took the opportunity to reglue the tire bead on the front wheels. 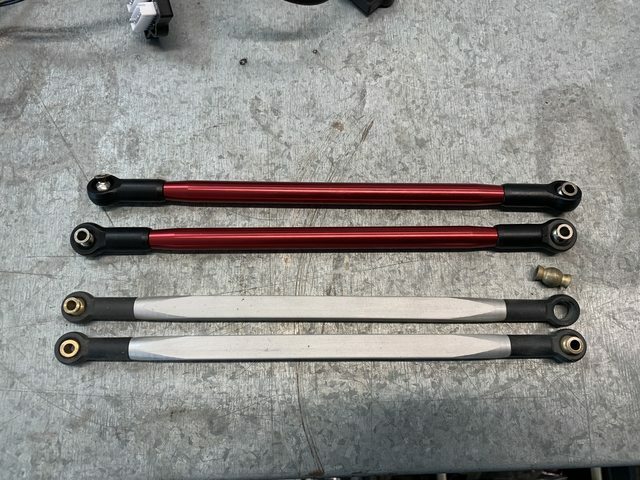 I also refilled the rear shocks. One of the slave shocks was only about 25% full, the others were all around 70-80%. Ill run another dozen or so packs through it and will probably rebuild them again. Last edited by Techno Duck; 09-13-2018 at 09:41 PM. The handling has been getting progressively worse. Noticed a lot of play has developed in the steering and the front diff was leaking pretty bad. The servo saver was also really hard to turn. 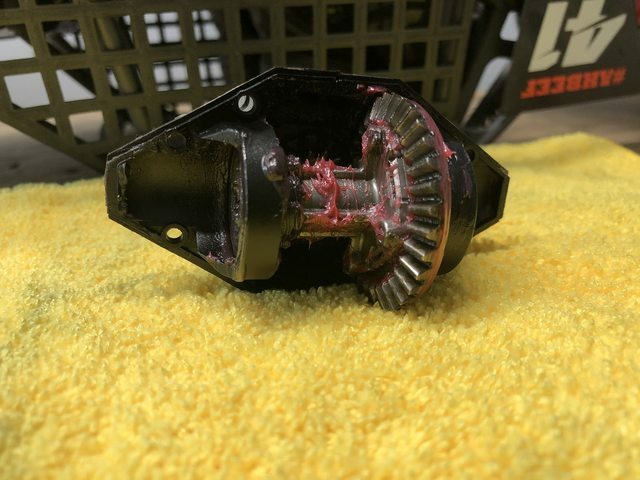 I run almost exclusively on sand, so it wore out the servo saver quite a bit. 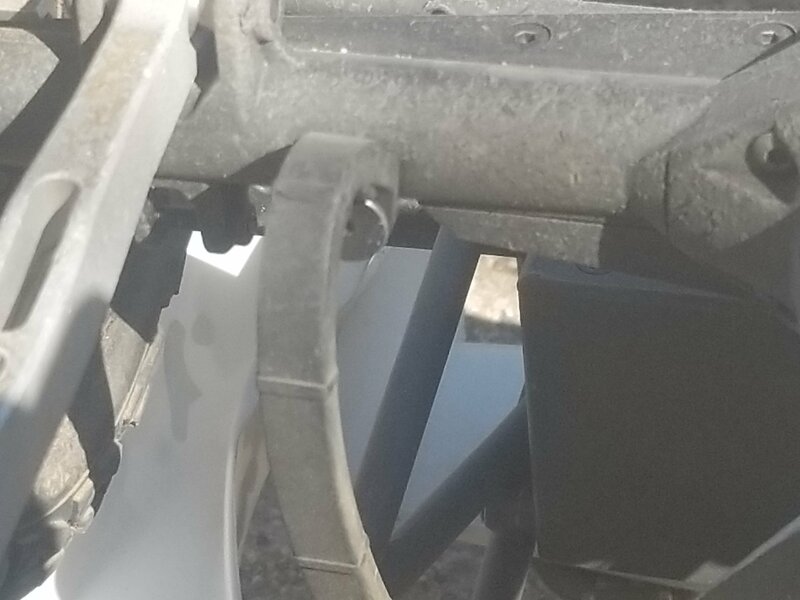 I also noticed the steering rack brace between the two pivots was really worn out. 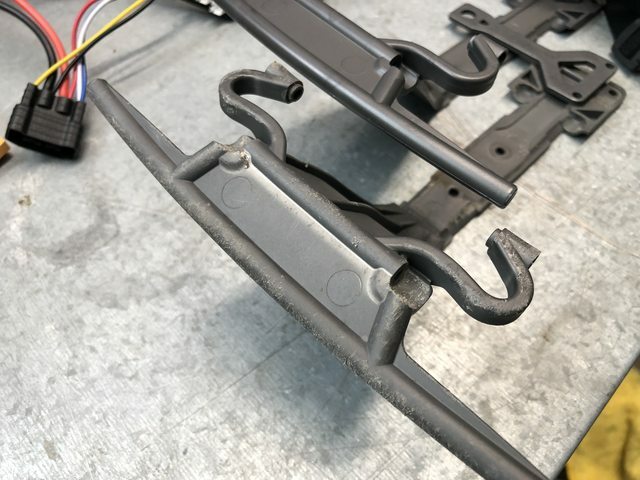 The front toe links are also toast. I noticed around the 10 pack mark they were starting to bend. So i flipped them around which helped. 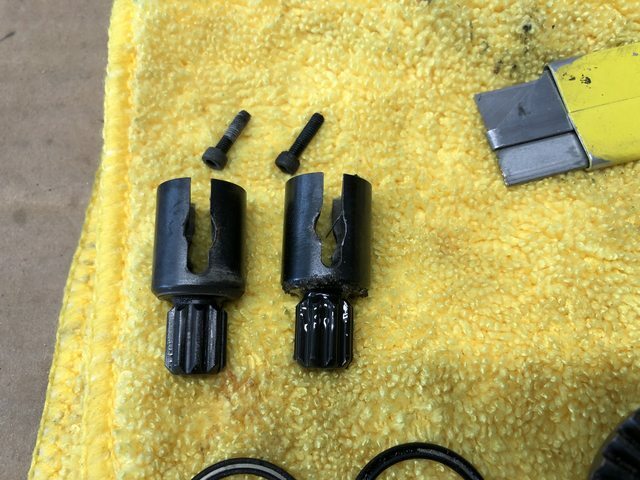 But now the rod ends are worn out and the hollow balls are also worn heavily on one side..so they fall right through the rod ends lol. I bought a set of the Hot Racing replacements...hopefully they hold up. 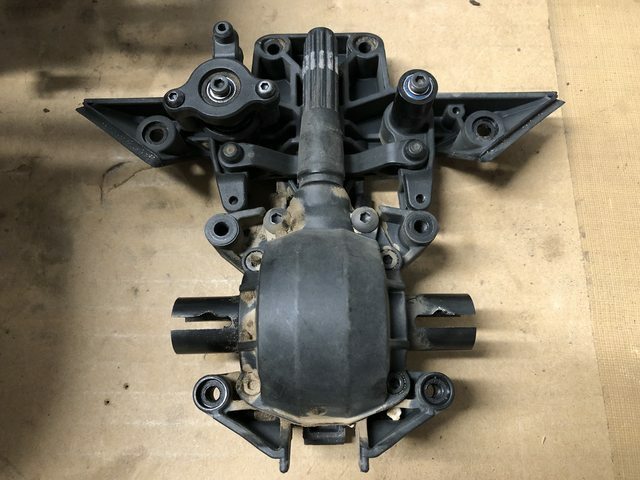 Took the front differential apart again. Everything looks great. 30 packs on 4S, never been shimmed either. One of the blue seals looked to be pinched which is where all the silicone fluid went. The diff was empty, so that explains why it was handling so poorly. I replaced all the seals and refilled with 30k weight fluid again. I admit that i overfilled the front diff the last time i changed the fluid, so that's probably why it leaked. Hopefully i wont have to open it back up for awhile. 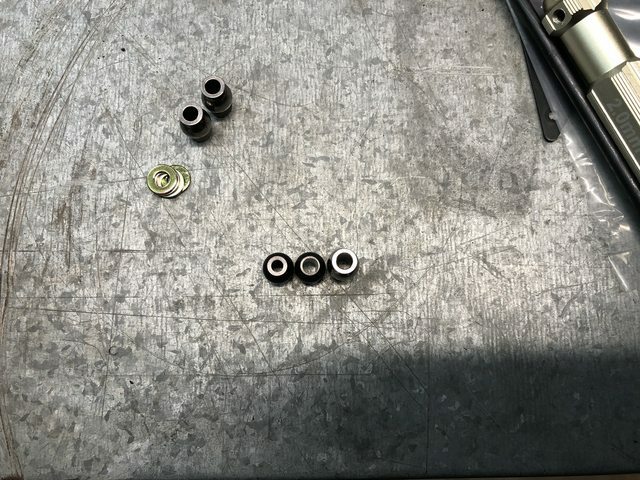 I'm also still running the original bearings that have never been opened. 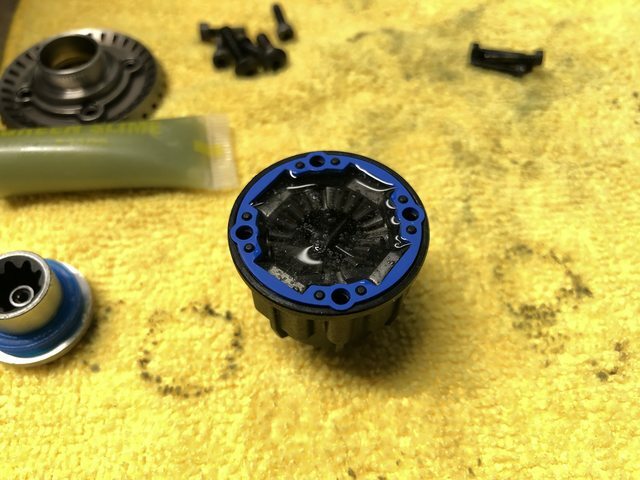 I repacked all of the front diff bearings with Mobil1 grease while it was apart. Decided to replace the worn out drive cups also. I probably could have gotten a bunch more runs out of these but i figure 30 packs is a pretty good service life. The dog bones are pretty heavily worn also. Ill continue to run these, but i just bought replacements so i have them on hand. Diff rebuilt and steering linkage parts replaced. BTW, front driveshaft is still going strong! I have a spare on hand, but they seem to hold up pretty well on 4S. Last edited by Techno Duck; 09-24-2018 at 07:03 PM. Dude. Your documentation is amazing. Thanks for doing this! 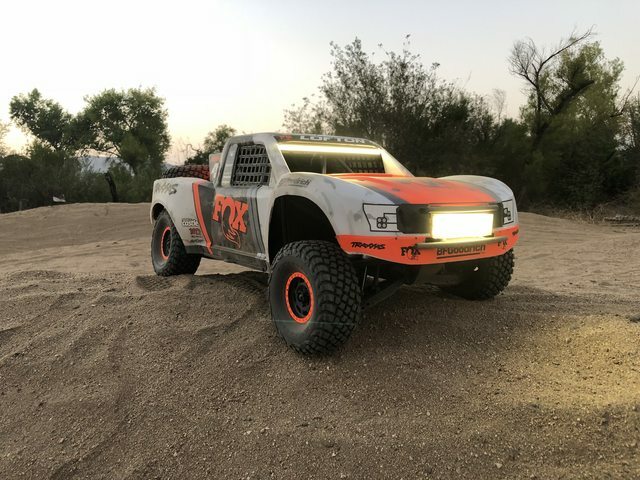 Truck looks great! Just for future knowledge, i don't recommend the Hot Racing Toe Links. The rod ends dont have enough travel for the suspension, so they bind up a little when the suspension is in full droop. I put a set of new stock links on...hopefully by the time i get another 30+ packs and wear them out there are more options available. The ran another 2 packs through it today, front diff is still dry! Handling of the truck still seems a little off though. Rear shocks are definitely shot also, rear end was bouncing around and bottoming out a lot. The front slave shocks have been leaking also, i am thinking they are probably empty. Will likely rebuild the shocks again this week...ugh. 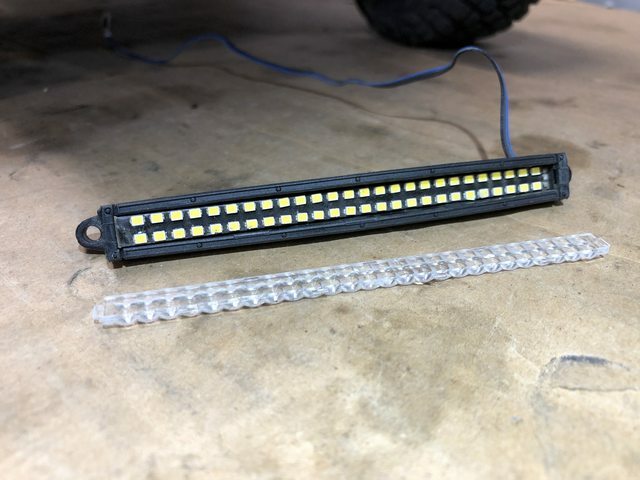 Got my warrantied LED light bar from Traxxas earlier this week. The front cover i made is pretty beat up, but has protected the lights really well. Ive done quite a few nose dives and haven't had anymore problems. Handling of the truck is now back to normal! I opened up all the shocks; to my surprise the fronts were still around 90% full. Two of the rears were around 80% and two others were nearly empty. I only rebuilt the worst of the two rears and just topped everything else off. I'm actually really happy with this because i think i put nearly 20 packs on these shocks since the rebuild. I think the major improvement came from replacing the front dog bones. 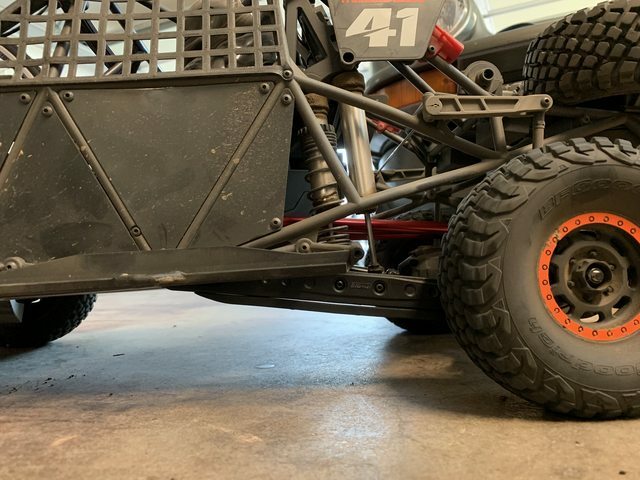 I noticed when the suspension was at full droop, if i gave it throttle the front wheels would shudder back and fourth a few degrees. 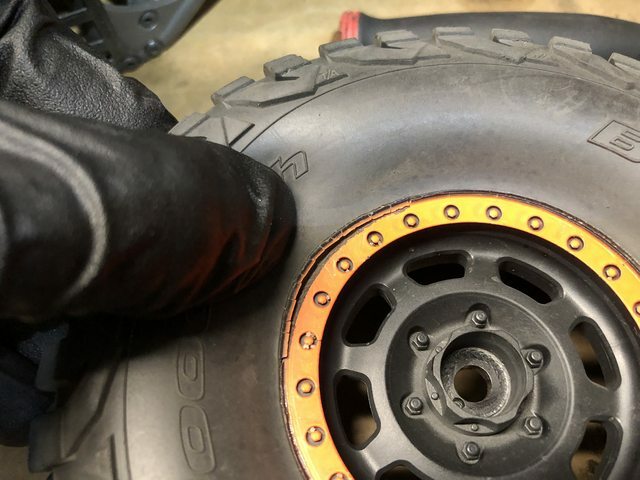 The joints were so worn out that they were pulling the wheels left and right. This was causing it to be twitchy on uneven terrain and spin out really easily. I admit i dont think i ever lubricated these. 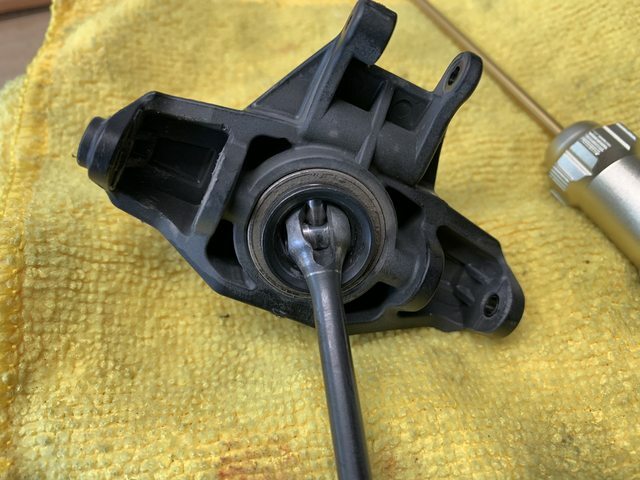 Grease gets flung off after a few passes and i dont think the dry lube i was using would last long either. The only other thing i need to address are the rear limiter straps. I think they may have stretched out because i can hear the driveshaft get really loud when the suspension is at full travel. Last edited by Techno Duck; 10-05-2018 at 10:19 PM. 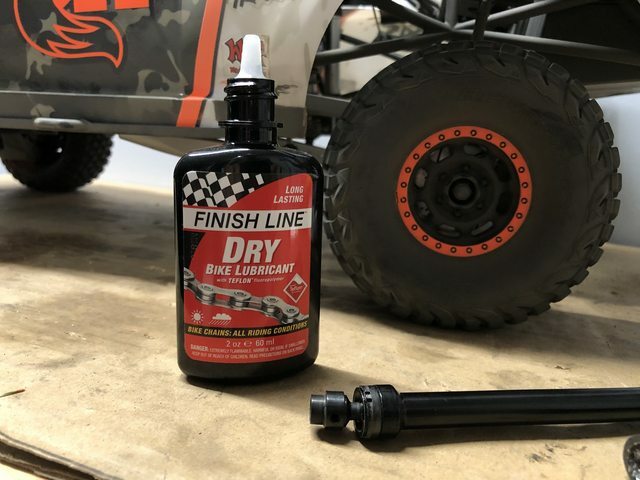 your truck/maintenance, but rather, race prep. 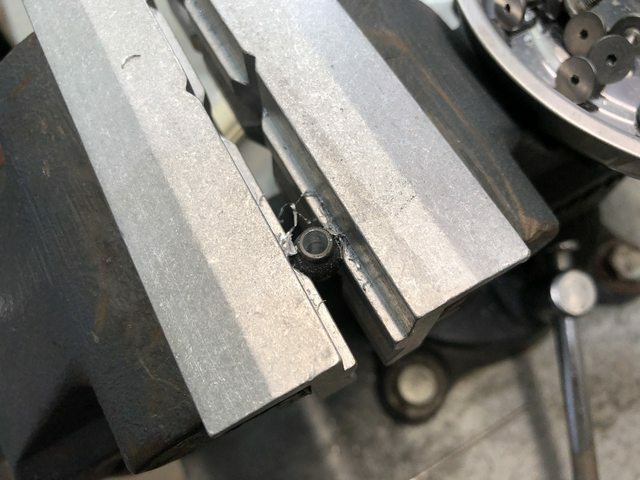 I agree, someone needs to make rod ends with more working angle. It puts a smile on my face to read that you have ran A LOT of battery packs thru your truck and enjoy it, and I don't know you from Adam. Sharing your experience and "race prep" I find valuable, especially if I were considering the purchase of one. 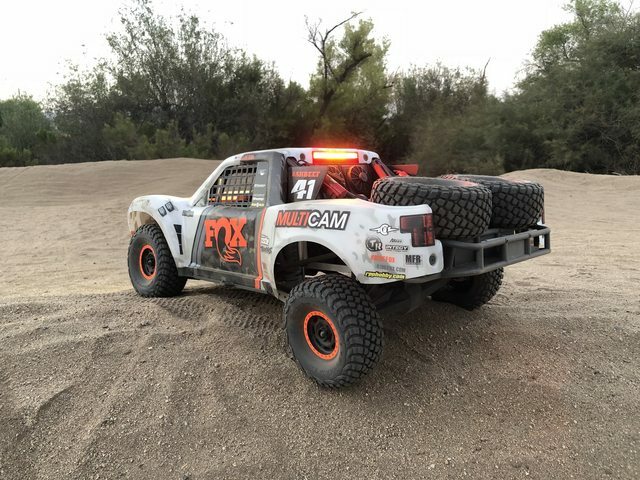 This is an expensive truck to start, and keeping it on the track will take money, just like the full sized rigs. Great information for service intervals on parts as well. The ironic/odd thing is that half the fun is tinkering with them. One day I'll make the 1-1/2 hr drive south to hit your drive area, Fiesta Island as well. Great thread, thanks. Took another trip out to my favorite bashing spot. 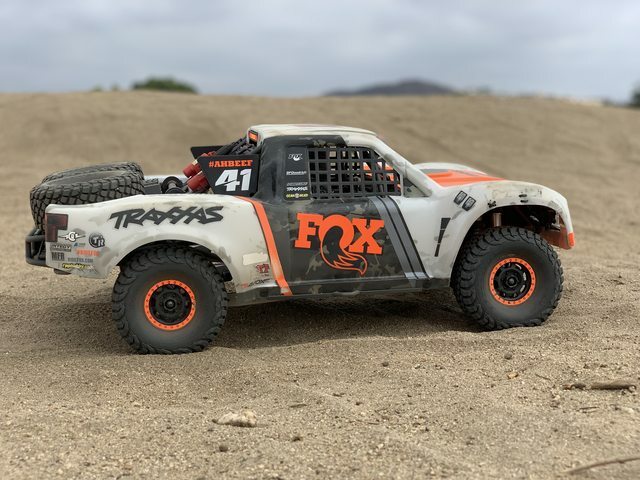 I get about 25 minutes from the Traxxas 6700 4S packs. I really cant complain...but tempted to try out 7200 or 9200 packs from SMC next. hey TD! 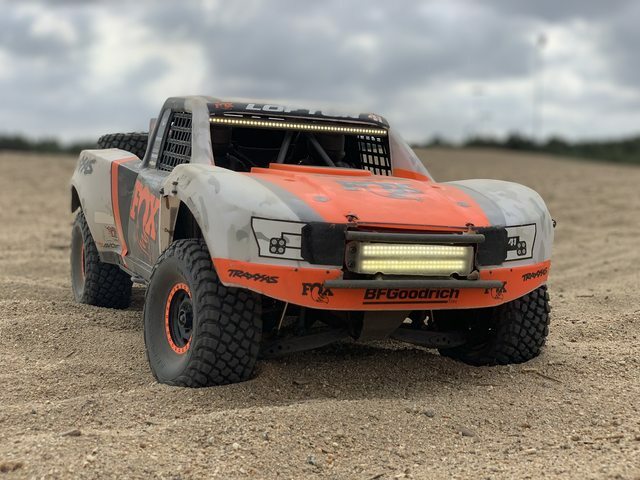 sweet truck and awesome thread. I flipped my limiting straps, to prevent my full droop. 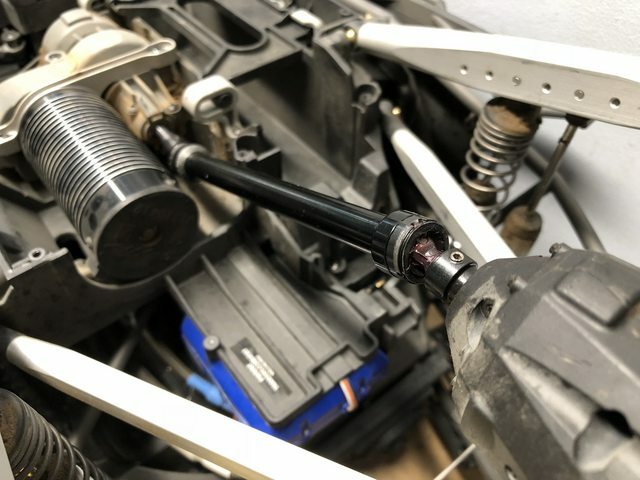 I did this instead of putting spacers inside the shocks to limit the droop. Been running this setup for a while. I got dhawk lowers and MFR uppers. 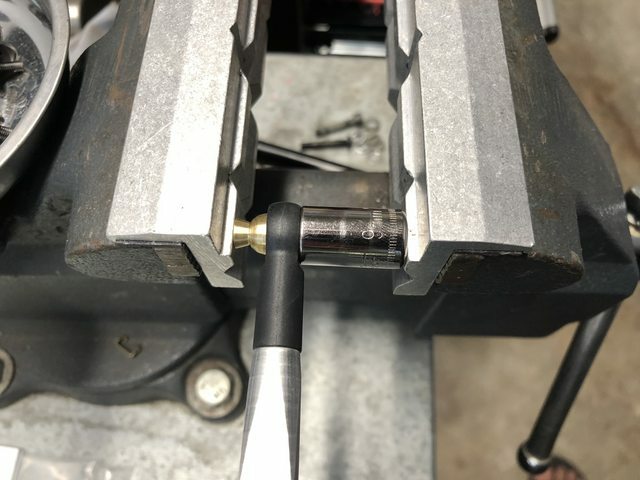 I heated my ballends up and worked back and forth with pliers, made the ball opening on the rod ends bigger/smoother. Flipping the straps, I believe I saved a lot of driveshafts. I believe me and crazyxmaxx have to have 100+ packs each thru our udrs. I've only had to replace 1 rear center shaft. hope you find the limiting strap thing useful. Great idea! I was looking at the straps available from HotRacing. I picked up some 105mm length (matches what i measured the stock ones at) but when stretched they are too long. The next option was 100mm which may be too short. On my next driveshaft ill try flipping the limiter straps as you did. Have you noticed any difference in handling with having less travel? I have 18 packs through this driveshaft and its getting close to failing. Wobble is significant and it sounds like a buzz saw again when the suspension unloads. I am guessing ill only get another 4 out of it. Hopefully MIP comes up with something that lasts longer! The dry lube i was using definitely wasn't working. 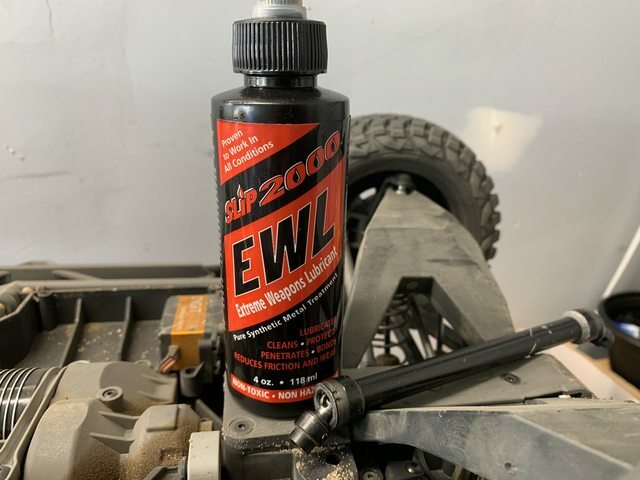 I am going to give this stuff a shot next... holds up great on my bolt carrier, i wonder how it will handle the driveshaft . I personally didnt notice a diffrence, I just know it sounds way better under throttle in the air. I need to do all the maintenance you have done already. hehe. I wish there were enough in San Diego to get some races going. Had a lot of fun turning laps earlier. Was fully expecting the rear driveshaft to break today, but its still holding together. I figure 1 or 2 more packs. Other than that, its running great. Front diff is still dry and no more leaks from the shocks. 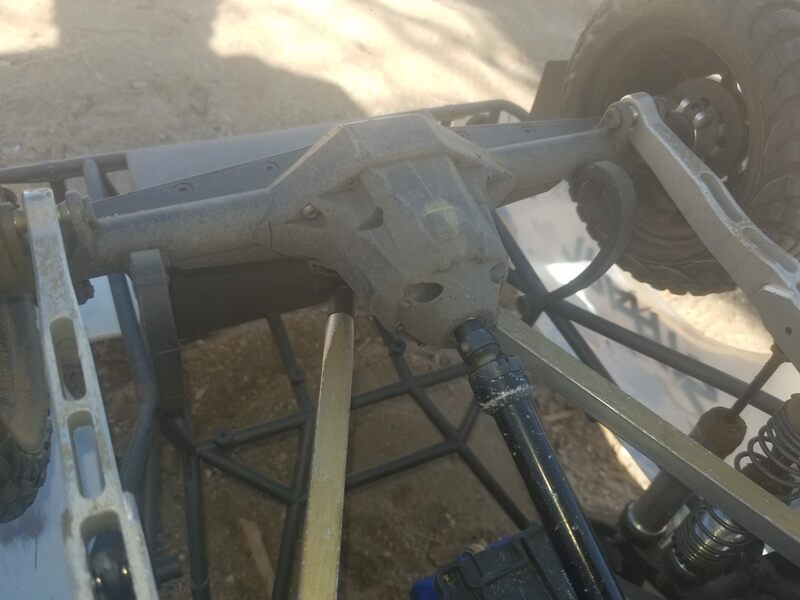 The 2nd driveshaft and 3rd front sway bar broke on pack 41. 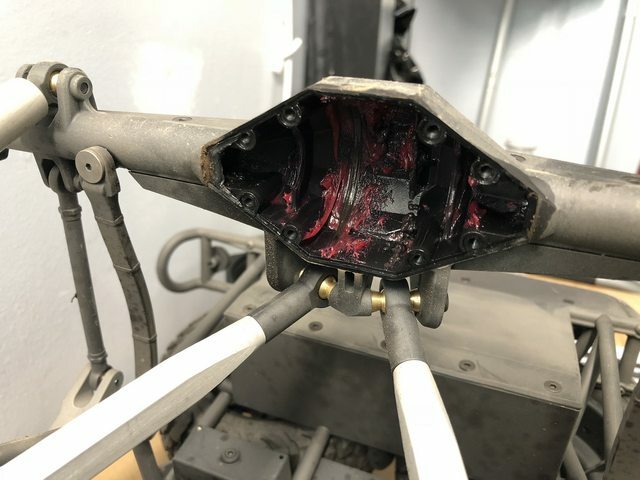 I noticed that the rear suspension had developed a lot of play in it. 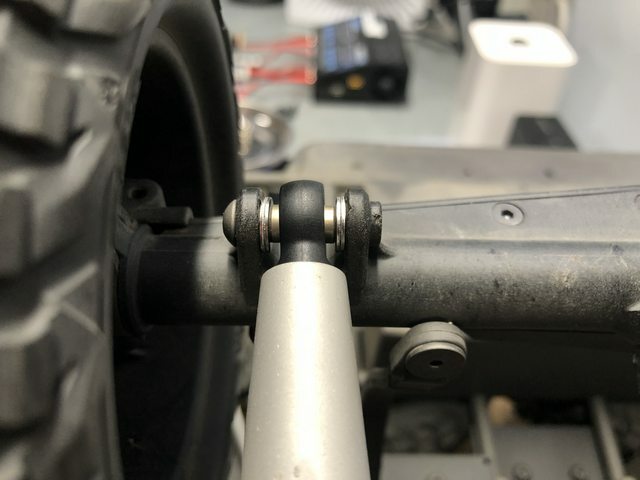 The brass hollow balls form MFR are not holding up well to the sand, two of them have worn down enough that they fall right through the LOSI rod ends. 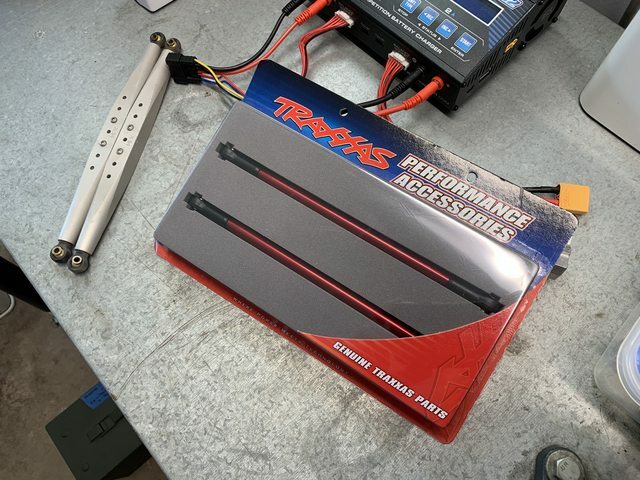 I am going to give the RPM trailing arms and the Traxxas upper links a try. The RPM arms are pretty beefy. 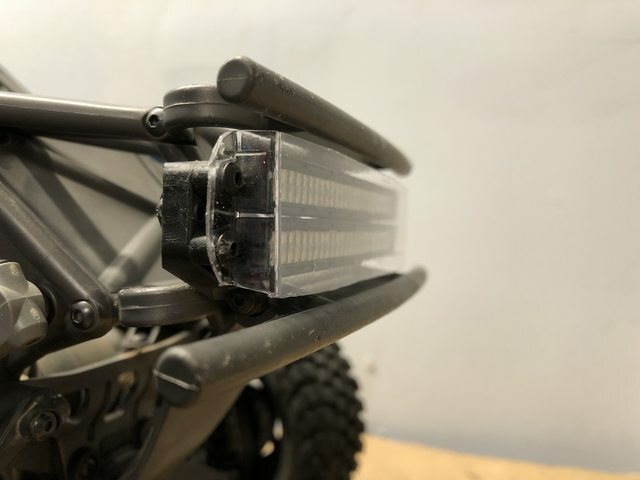 My only complaint is the gap between the bottom of the arm and the optional skid plates...another screw or two to hold it down in the middle would have been nice. Worn out MFR hollow ball. 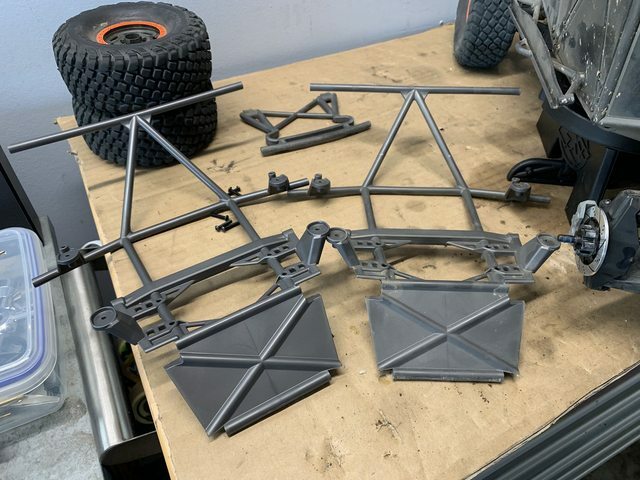 Traxxas aluminum upper links. Way overkill on the packaging! Also replaced part of the front chassis. 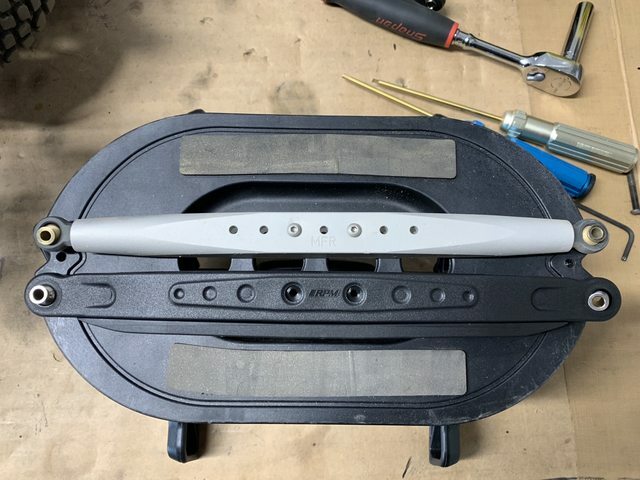 Landed hard on the nose a few weeks ago and ripped the screws out for the lower front bumper mount. The threads were toast, so the screws kept backing out. I think i learned my lesson finally and have retired it from the big jumps. 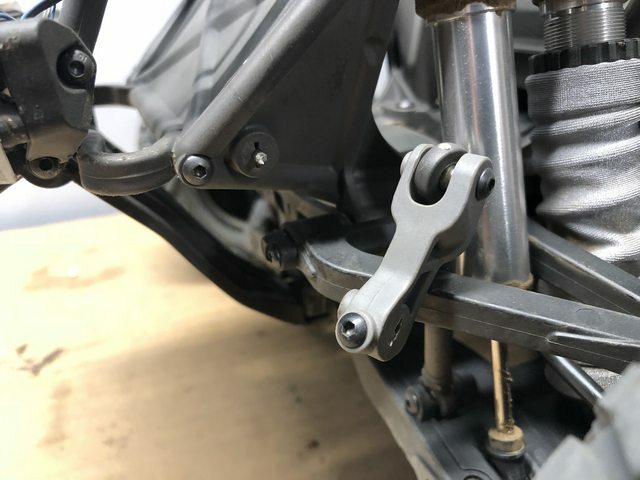 As well as/instead of flipping the limiting straps, couldn't you adjust the pinion angle with the upper links? I see there are 3 holes to choose from or will this affect power down/traction in the rear? 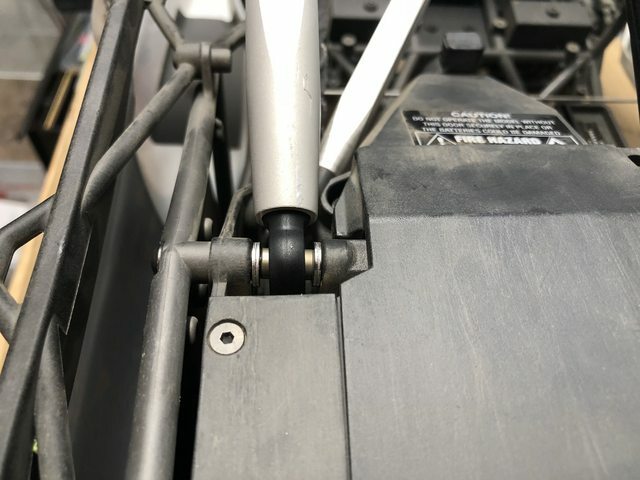 Moving the upper link position would decrease your total driveshaft angle also. 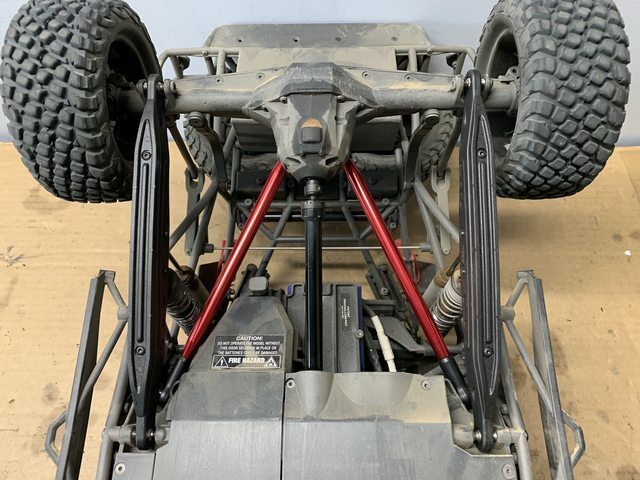 I think it would also increase the leverage between the chassis and rear axle, making the chassis squat more on acceleration. 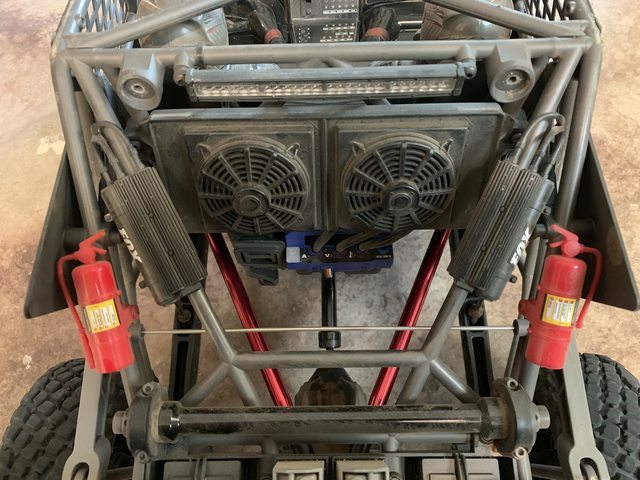 I installed a set of 95mm limiter straps from Hot Racing. I forgot what the difference in rear travel is now, but it is reduced by just a few millimeters. The difference in length looks significant, but the straps stretch a bit with the suspension weight hanging off it. I only ran two packs through it with these, but so far everything seems much quieter. Has something changed?? 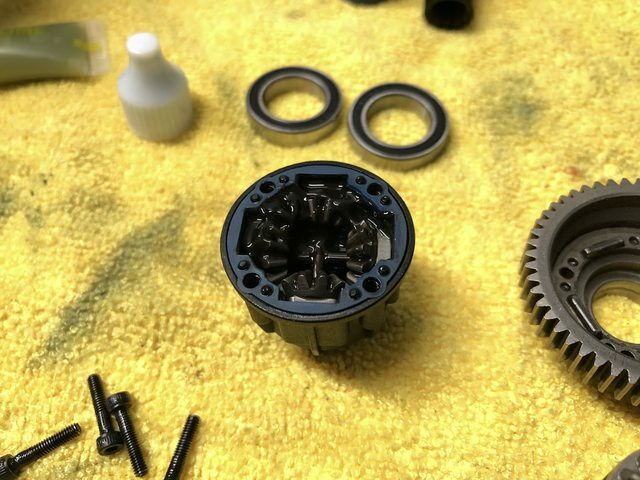 Manual says 20MM oil to center differential. (page 28). I tought I read 1 million when I rebuid?